Product code: 988 Categories: Sold Items, Sold Watches. 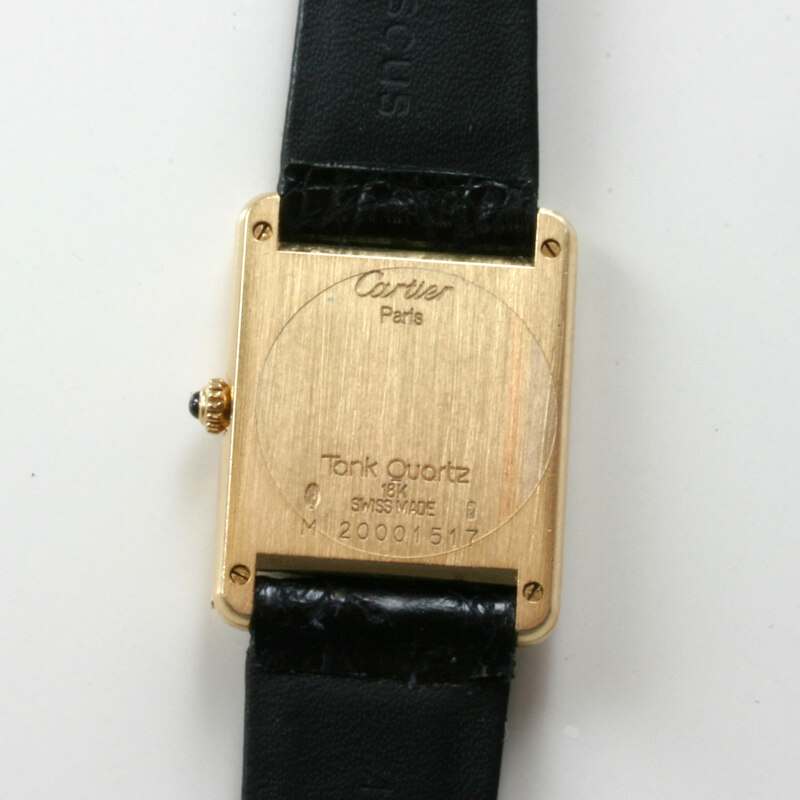 Here is the classic look and style of the Cartier Tank in the gents size made in solid 18ct yellow gold. Measuring a handsome 31mm x 24mm, it also has Cartiers famous cabachon sapphire crown. Incorporating a quartz Cartier movement, this is one gents Cartier that can so easily be worn both to work, at evening dinners or functions and look elegant no matter where. 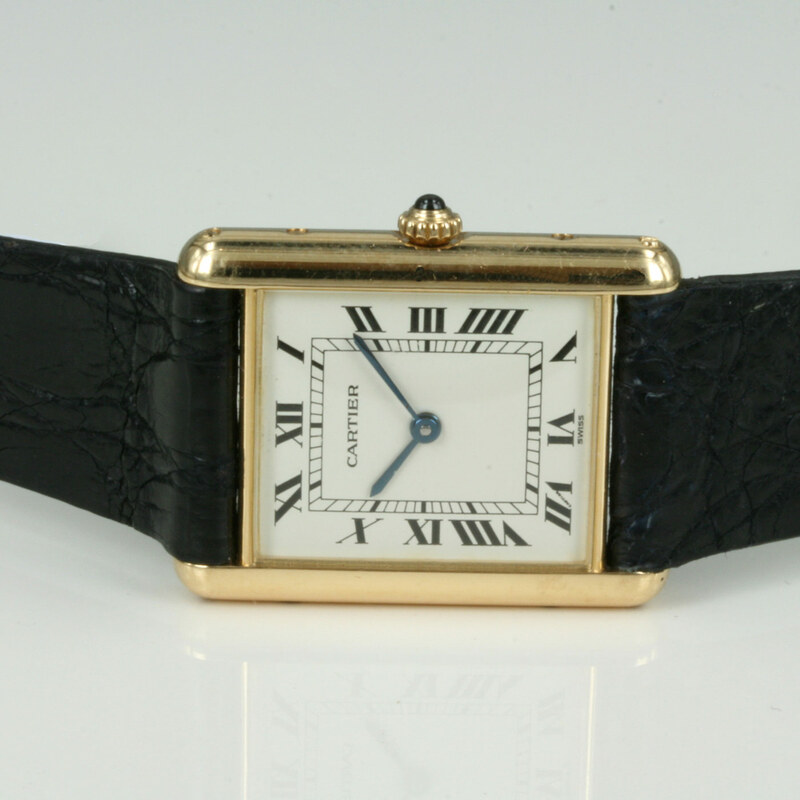 A very popular style Cartier Tank watch for any gentleman out there.